PG Hardwood Flooring is a family-run business, but you don’t need familial lineage to feel at home there. Located about an hour outside of Quebec City, the Canadian company was co-founded by Julien Paré and Richard Garneau in 1979. In the 1990s, Garneau bought back his shares from Paré and made his three children the company’s sole owners. PG is now in its third generation of Garneau family leadership with six of Richard Garneau’s grandchildren participating in the business. Over the past 40 years, PG’s deep-rooted values have remained the same. Just like a family, there is a strong sense of belonging and acceptance with management paying close attention to the needs of all the company’s team members. As a result, employees feel a sense of ownership towards PG, which has contributed to the company’s success. 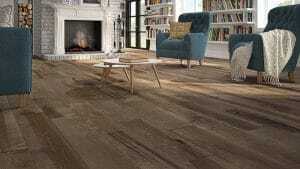 PG is launching several new products in the coming months, including some that will be showcased at DOMOTEX USA. 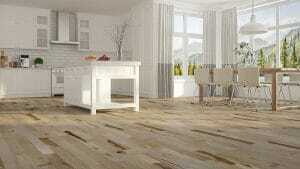 Source is a new addition to the Model Classic Collection, which has beige tones and is offered in Birch and Maple. In the Unique Collection, Imagine is a tribute to Silver Maple with a combination of pale tints, natural wood character marks and wide boards. Also in the Unique Collection, Bourbon is a warm brown with multiple shades amplified by the Red Oak grain. These three new products follow market trends but also feature PG’s unique flavor. They have rich character and come from a complex process of experimentation, which sets them apart from the competition. PG will also showcase other products from its fall and winter launches as well as prototypes from its spring launch at DOMOTEX USA. In addition to the new products, PG has rolled out a new order site for retailers and distributors to efficiently complete their orders. Users will be able to place orders directly on their mobile devices and quickly access documents, pictures and available stock online. With direct-order confirmation as well as simple choices and automatic standardized freight charges, customers will have peace of mind that their PG products are on their way. The site will even allow users to track the products throughout the entire shipping process. 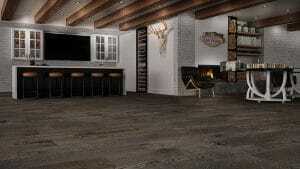 For more about PG Hardwood Flooring, you can go to their website or visit Booth 1320 at DOMOTEX USA.